Last week, Fuzzball asked where Scuzzball got the van. 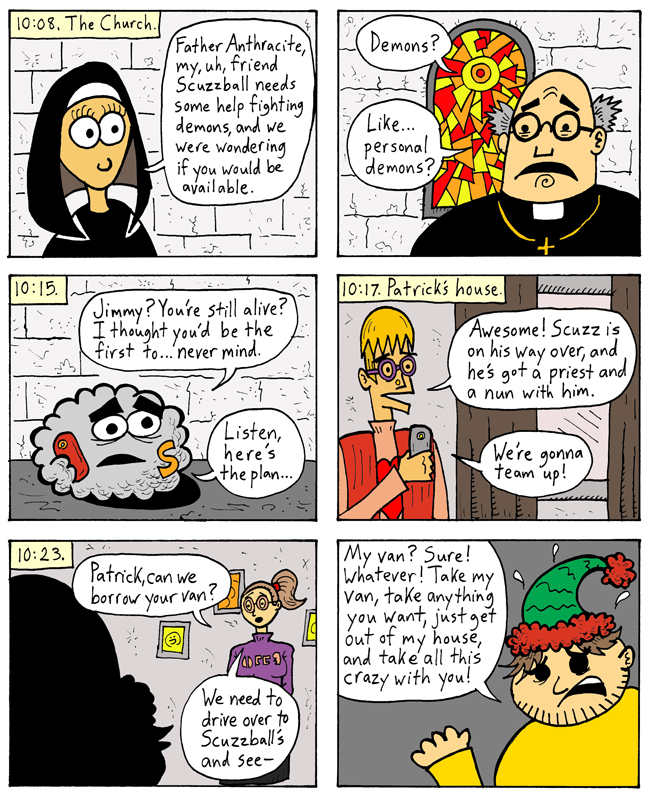 Today's strip answers that question by jumping back in time to fill in the gap between when we saw Scuzzball and Jimmy at 10:05, and when we saw them burst onto the scene in a van at 10:41. Chronological disordering is a serious literary technique. Next Week: Back to the present! For ACTION!